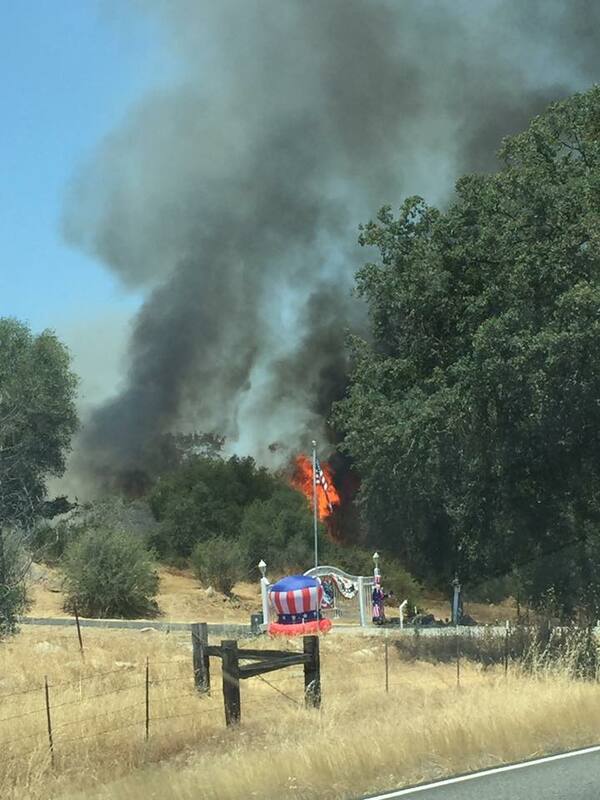 O’NEALS — Crews responded to a vegetation fire today near the Blackhawk Lodge that threatened at least one structure and snarled traffic on a stretch of Highway 41 just north of Road 200. 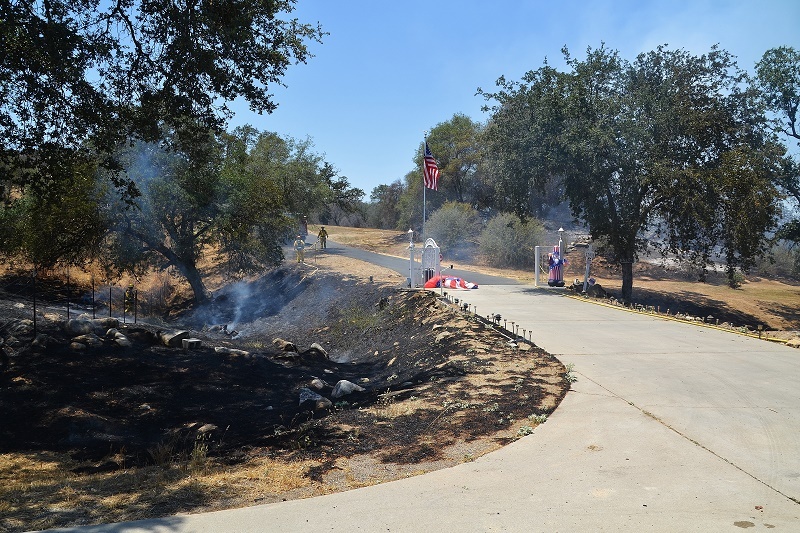 Firefighters were called out at 12:50 p.m. to the fire which was burning in grass and oak brush just adjacent to the southbound lane. 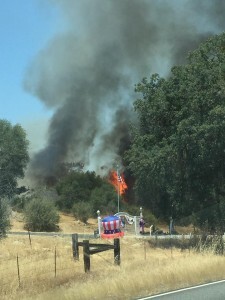 The first engine on scene reported the fire at two acres with one building threatened. 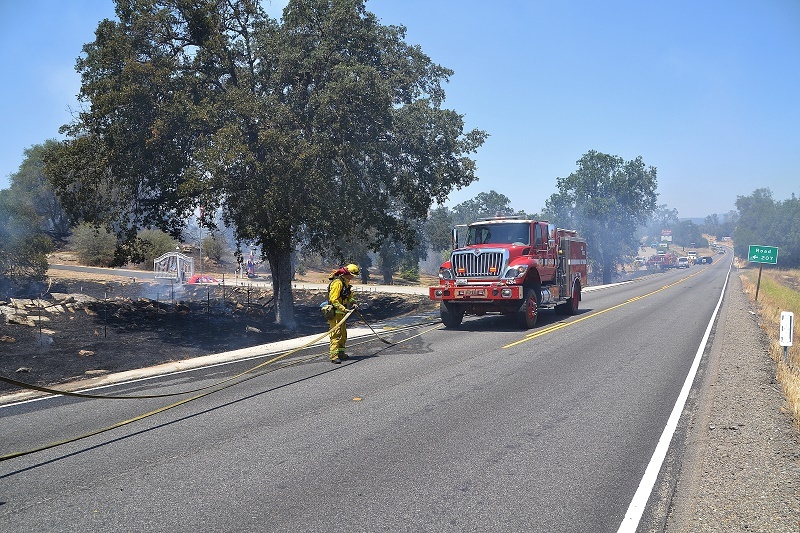 All traffic was stopped in both directions and additional resources were called up, including air tankers and helicopters. The resident who reported the fire said he didn’t know what started it, he just saw smoke and called it in. Crews had the fire contained by 1:21 p.m. and all air resources were released. 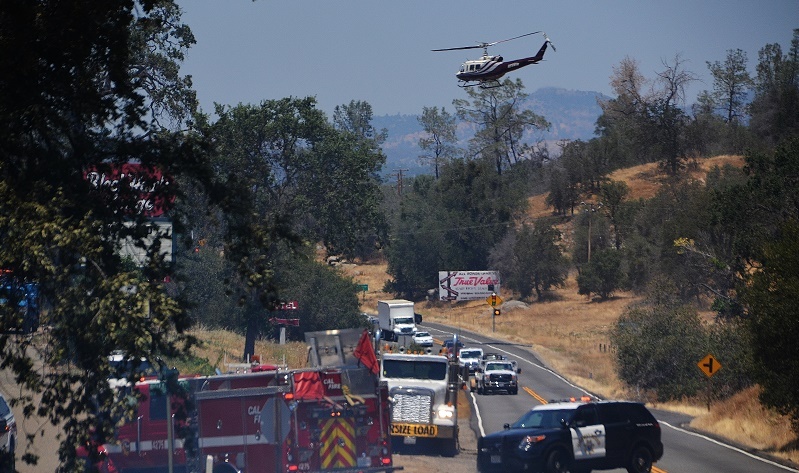 CHP put a hard closure in place northbound at Road 200, and all vehicles are being diverted onto Road 200 from Highway 41. Southbound traffic was stopped at Yosemite Springs Parkway. The highway was closed for about an hour in both directions, and both lanes were reopened at 2:10 p.m. The incident was terminated and all engines released just before 5 p.m. 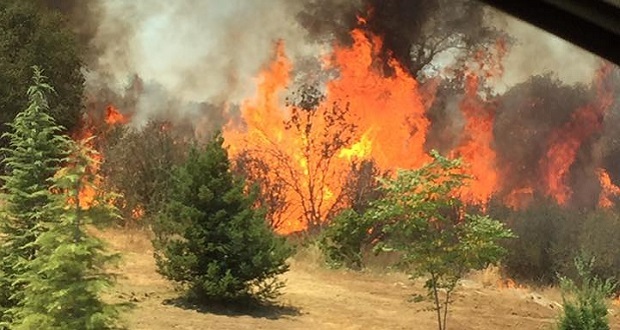 The size of the fire at containment was estimated at 2.3 acres.